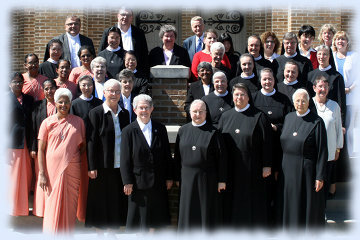 Special Greetings to all from the Sisters of the General Chapter! 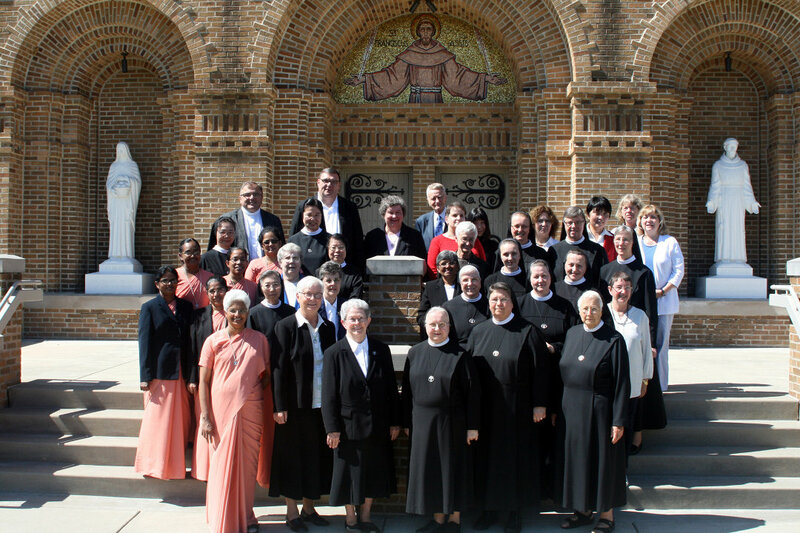 The opening of the 20thGeneral Chapter was with a liturgy celebrated by Father Hans-Bernd Koeppen in the beautiful Motherhouse Church of the American Province. 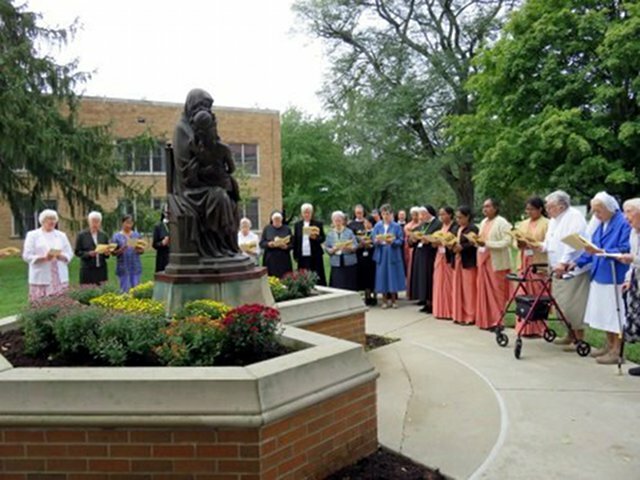 The liturgy started with the sound of the Motherhouse bells of Munster; the Capitulars were joined by many Sisters of the American Province. Early afternoon all gathered around the statue of Our Lady of Telgte. 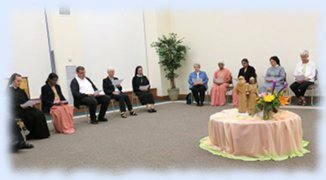 Sr. Sherrey welcomed and acknowledged the long tradition of beginning our Chapters in Telgte, the cradle of our congregation. 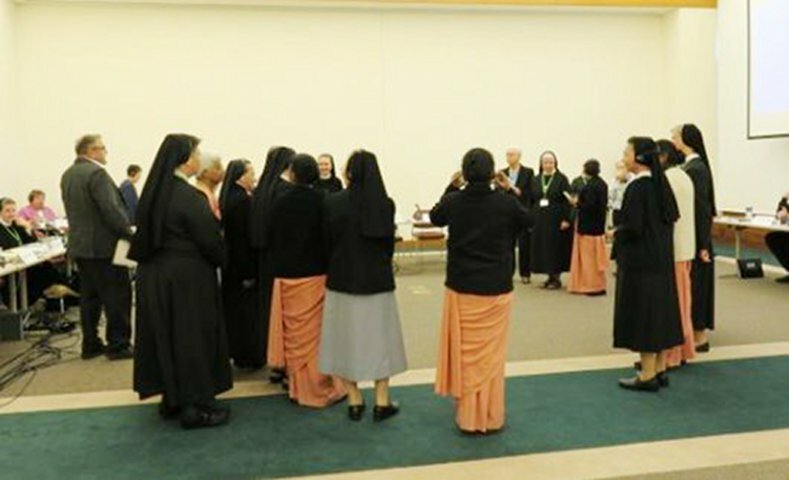 Sister reminded the delegates that each is called “to be and to bring the healing presence of Christ” Whatever we do and where ever we are. After some struggle with technology, we entered into the work of the first session. 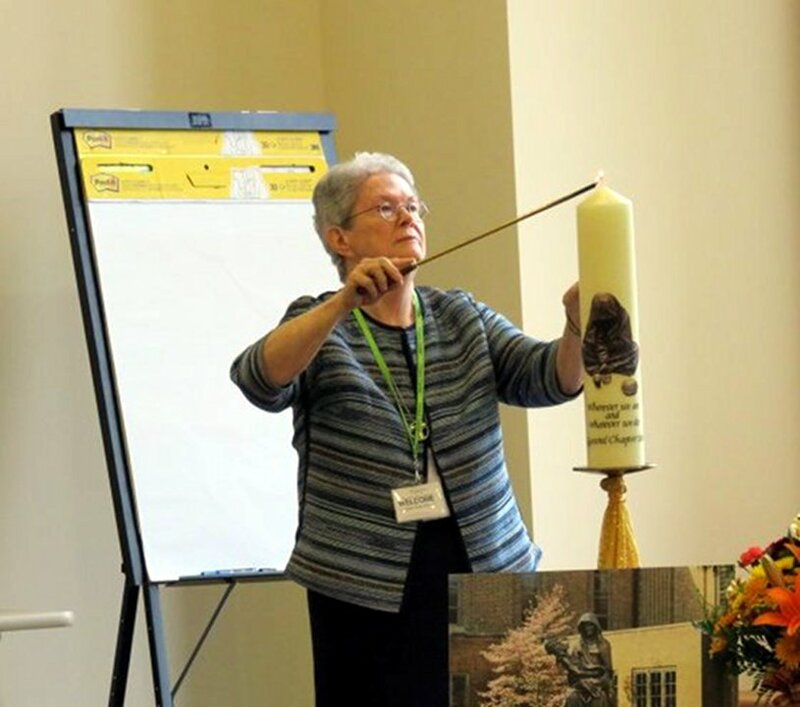 Sr. Sherrey opened the Chapter with some brief remarks and lite a beautiful candle within our sacred space. 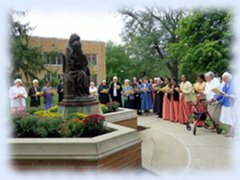 Friday morning began with liturgy, celebrated by Father Michael Plattig. He spoke of the importance of listening not only with the ears but also with the heart. 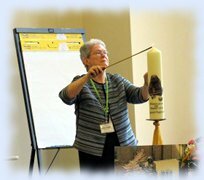 The opening prayer was a reflection on the Chapter logo and image. 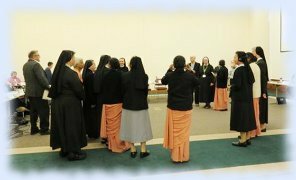 Then Sr. M. Herbertis gave a report of events and significant happenings in the German Province during the past 6 years. 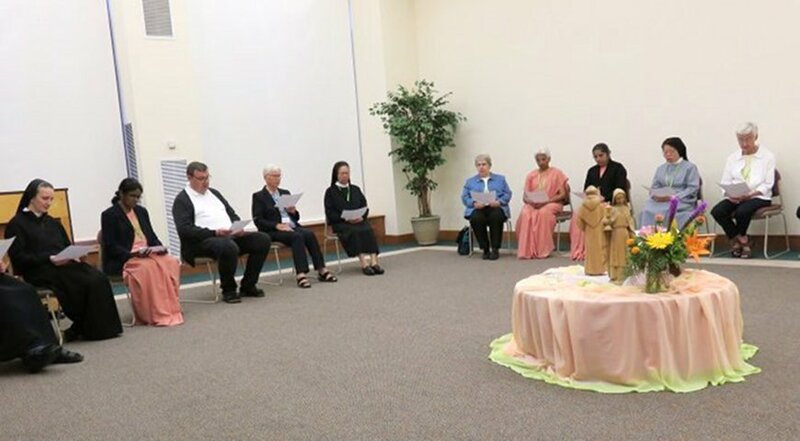 The report was followed by sharing in international groups.In the afternoon a similar plan was followed by the capitulars, after Sr. M. Bonita of the Polish Province and Sr. Maureen of the American Province gave their reports.Father Michael gave a closing reflection on the 3 reports.